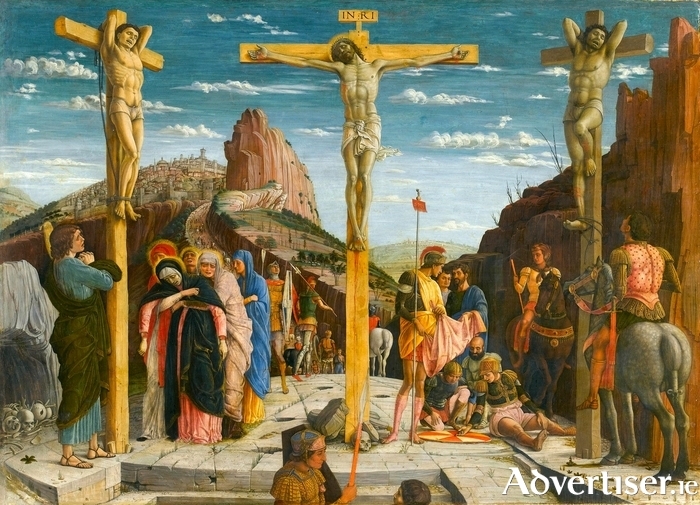 Mantegna's depiction of the crucifixion. THE SEVEN Last Words of Christ, Haydn’s celebrated work, exploring Christ’s anguish on the cross, and more broadly, on suffering and the human condition, will be performed in Galway this month. Considered among the greatest pieces of Easter music, it will be heard in the Emily Anderson Concert Hall, Aula Maxima, NUI Galway, on Holy Thursday April 13 at 8pm. Originally commissioned by the Archbishop of Cadiz to punctuate his own sermons on the Words as part of an Easter service, the work was first performed on Good Friday, 1787, as part of the midday service. The cathedral’s walls, windows and columns were clothed in black, the only light came from a single central lamp; and the huge cathedral doors were locked at the start of the service. For this performance, the archbishop’s sermons have been replaced by Pulitzer-prize winning Mark Strand’s 'Poem After the Seven Last Words'. This series of seven meditations will be delivered by Galway-based poet and playwright Vincent Woods with Haydn’s music, performed by the Galway ConTempo Quartet, following each sermon.